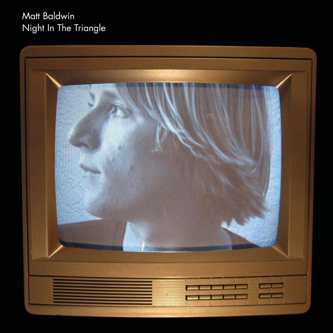 New New Age practitioner Matt Baldwin might now have a wide-reaching scene around him that probably wasn’t as visible when he released his debut album ‘Paths of Ignition’ in 2008, but he still sounds totally alone in his vision. A favourite of one Julian Cope (who describes Baldwin as ‘a one-man heavy metal band’), it’s not hard to understand why Baldwin’s music has been accepted in the outer realms of music present. On ‘Night In The Triangle’ we hear the guitarist take on Judas Priest, Neu!, The Durutti Column and Conrad Schnitlzer, a daring task for any musician but for a solo guitarist this could have ended in disaster. Framing it in the loose concept of a science fiction soundtrack, the covers take on new life under Baldwin’s expert guidance, and everything hangs together as it should, sounding something like Mark McGuire if he had been recording with Manuel Gottsching and Joe Meek. Weird, wild music for the darkest recesses of the mind, any of you new agers better make sure you have protection, this ain’t for the faint of heart!